Knowing how to use digital technologies safely and responsibly is one of the most important skills that youths take with them from their time in education. However, teaching e-safety is a tricky balancing act between wanting to warn students about the dangers of technology, whilst protecting their innocence. Children are using an ever-widening range of devices at younger and younger ages. They are very adept at making media, playing games, communicating with each other, uploading, downloading and accessing content - but just because they can do something doesn’t always mean that they should. With the introduction of the national curriculum in 2014, schools in the UK have been required to teach e-safety. Pupils of all ages are expected to learn about using technology safely, protecting their online identity and knowing how to report concerns. The keeping children safe in education guidance issued in 2016 by the UK government contains a requirement for schools to teach pupils about safeguarding. This includes online safety and provides more guidance on peer on peer abuse. But how can meaningful learning be achieved in what is already a packed curriculum? In schools where teaching e-safety is done effectively, there are some key commonalities happening. Firstly, lessons are not one-offs. There may be special events, assemblies, visiting talks or focus points during the year, such as Safer Internet Day. These are in addition, and complementary to, the sessions taking place throughout the whole year. E-safety is not seen as being different to other safeguarding initiatives, and learning is embedded into other areas of the curriculum in anage-appropriatee way. In history, for example, students might learn about the validity of searches and bias. In PHSE (Personal Health and Social Education) lessons they might be taught about telling a trusted adult if they have any concerns or worries, extending into how to report an e-safety issue such as cyberbullying. 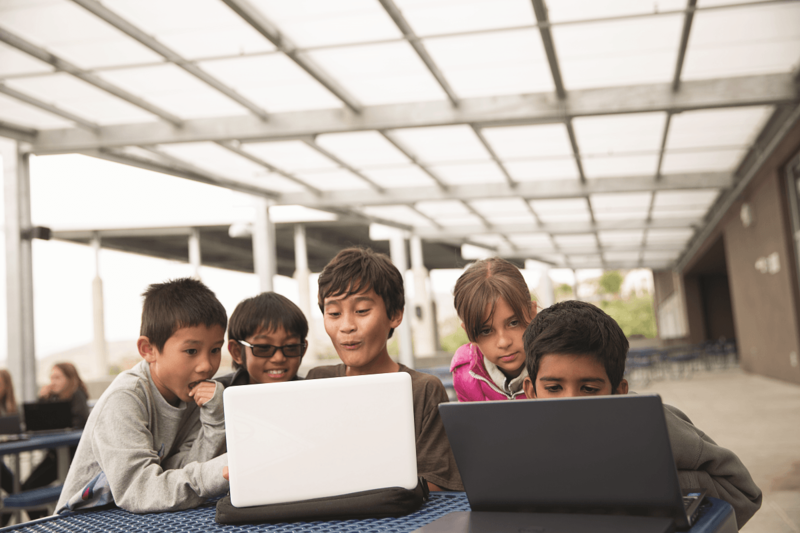 Teaching students to be confident and trust their own feelings is also a key theme in helping them to learn how to be responsible when using technology. Learning how to say “no” to peer, or indeed any, pressure - whether it’s over playing an inappropriate game or picking on someone in the school yard, is a hard learnt skill. Building this resilience will prepare students for their futures. In no particular order, here are my top 10 resources for teaching e-safety! Google recently launched a range of resources like Interland, a free, web-based game that makes learning how the web works a fun, engaging and hands-on experience. With Interland, Google strives to teach five core internet principles around being internet smart, alert, strong, kind and brave. Kids are invited to play their way to Internet Awesome and become fearless explorers of the online world in a quest to deny hackers, sink phishers, one-up cyberbullies and outsmart over-sharers. In Kind Kingdom, for example, players collect hearts and tools to help them spread kindness to characters they meet in the game, while also blocking and reporting bullies they meet. The game is only a part of a more comprehensive offering from the authors, which includes teacher resources and a video series for parents to help raise their confidence in talking with their kids. The provider has also released a free online course for teachers to support them in teaching digital citizenship. Childnet International is a wonderful site packed full of lessons, advice, links to other sites and support for teachers and parents of children ages 3-18 years old. One of my favorites is The Adventures of Kara, Winston and the SMART Crew. These cartoons illustrate five e-safety SMART rules and include a real life SMART crew of young people, who guide the cartoon characters in their quest, and help them make safe online decisions. I’ve used this many times in the classroom and it has proved to be really popular with the 7-10 year old age range. Another great resource from Childnet International is Smartie the Penguin, an e-safety story for 3-7 year olds. Join in with Mummy Penguin’s song and follow the adventures of Smartie the Penguin as he learns how to be safe on the internet. The story covers themes of pop-ups and in-app purchasing, inappropriate websites for children and cyberbullying. The resource has question prompts to use in the classroom, great for getting the kids talking about their worries and concerns. Along a similar vein, Digiduck’s Big Decision is aimed at a younger age group. Help arrives just in time for Digiduck when he is faced with a difficult decision. Follow Digiduck and his pals in this story of friendship and responsibility online. The resource collection, now including a book, PDF and interactive app, aims to help parents and teachers educate children ages 3-7 years old. CBBC Stay Safe. This is a collection of short videos made by the great team at CBBC, starring many presenters and celebrities that children will be familiar with, aimed at children 9-13 years old. Covering areas from taking selfies to rights and responsibilities, and fake news to privacy; the videos on the site are an excellent way to spark class discussion. The news reports could even be used in a literacy lesson if you’re studying that genre. Young people are joining social media at very early ages and need to be taught how to use it in a respectful, positive way. Makewav.es is a site that acts as a social network, allowing users to make friends, make comments, have blogs, but all in a safe environment moderated by their teacher. InternetMatters.org is a comprehensive site with resources for parents and schools. It provides heaps of advice from buying tech to setting up parental controls. The site is aimed at helping parents get to grip with the tech savvy world their kids live in and covers preschool to children 14 years old and up. Schools can download parent packs to help promote messages of keeping children safe online. Common Sense Media is a site dedicated to helping kids thrive in the digital world. It is full of unbiased reviews, trusted advice and tools to help students harness the web. Technology is constantly changing and evolving, and this site keeps up-to-date information to help make sensible choices. They recently released a Digital Passport scheme, which is a five-module course aimed at early teens. Each module focuses on critical skills related to digital safety, community and respect. tootoot is an online reporting tool that was developed as a direct result of bullying. While some children feel comfortable reporting issues to an adult or teacher, others do not. tootoot gives those children a voice and a safe, anonymous environment to discretely report and resolve their concerns. ThinkuKnow is CEOP's education program that aims to empower and protect children and young people from sexual abuse and exploitation. ThinkuKnow includes films, animations, websites, presentations and lesson plans to enable professionals to safely explore difficult and sensitive issues with children and young people. The animations and film resources are accompanied by toolkits and delivery guidance documents to help professionals explore their themes with children and young people. Many of the videos can also be found on YouTube by simply putting in a search for e-safety. UK Safer Internet Centre is an excellent site for supporting parents, and has great teaching resources, including a curated link to a scheme of work developed by South West Grid for Learning. They’re also key in coordinating Safer Internet Day in the UK, where hundreds of organizations get involved to help promote the safe, responsible and positive use of technology. Safer Internet Day is celebrated globally in February each year, taking place this year on 6 February 2018. This year’s slogan is, Create, Connect and Share Respect: A better internet starts with you. I couldn’t have said it better myself! After graduating from university with a psychology degree, Amanda Hayward worked in marketing for five years, then decided to retrain as a teacher. She began her career in London, before moving to northeast England over 20 years ago. Amanda became ICT coordinator at a local primary school in South Tyneside in 1997 and joined the ICT in Schools team about nine years ago. Amanda’s expertise is with training teachers and advising senior management in Primary schools. 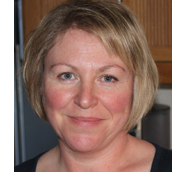 She teaches almost every day in OpenZone@TheWord or in schools and has a particular interest in promoting E-Safety. She spends a lot of time speaking to groups of teachers, students, and parents. Throughout her work, Amanda aims to develop lifelong learners who have a global awareness and empathy. Her passion is encouraging children to use technology to enhance, extend, and transform learning. Amanda is a NAACE ICT Mark Assessor, Intel Education Visionary, Apple Teacher and CEOP Ambassador. She is always keen to work with others and share good practice so that all teachers and learners can benefit, which is why all her work is grounded in easy-to-replicate, practical support.